Not everyone qualifies for a USDA Loan (based on income and credit). Not every Northwest Indiana Home For Sale is located in a region that qualifies it for U.S.D.A. Financing! Before we work with any home buyers in NW Indiana, we have them pre-qualified first. 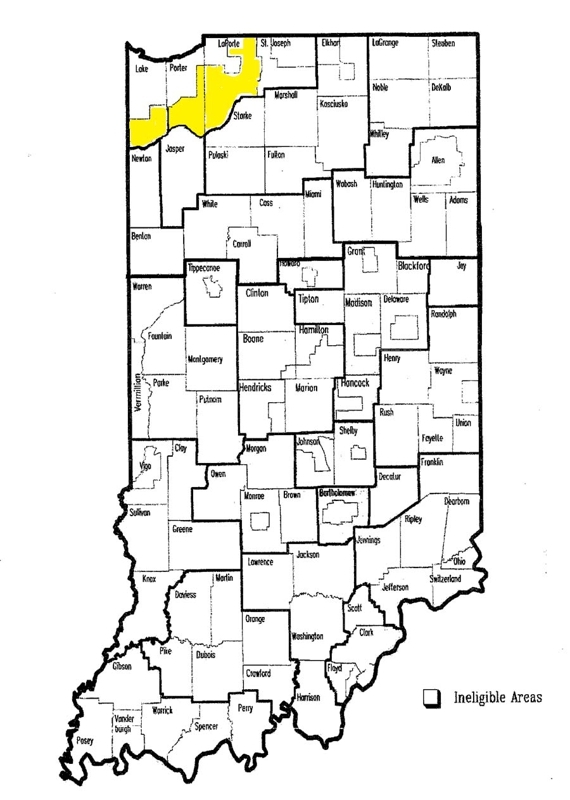 *Yellow shaded areas on the map give you a rough idea of where rural housing loans may be used in buying homes in the Region of Northwest Indiana counties of Lake, Porter and La Porte. We verify every address online and with the lender before scheduling showings! USDA Rural Development Housing Loan! Talk To Tucker Today to help you ! This program, through USDA, features 100% financing for qualified moderate income families desiring to purchase single family homes with little to no cash investment.